Meet the experts who are helping people like you achieve pain free, active and healthy living without drugs, injections or surgery. 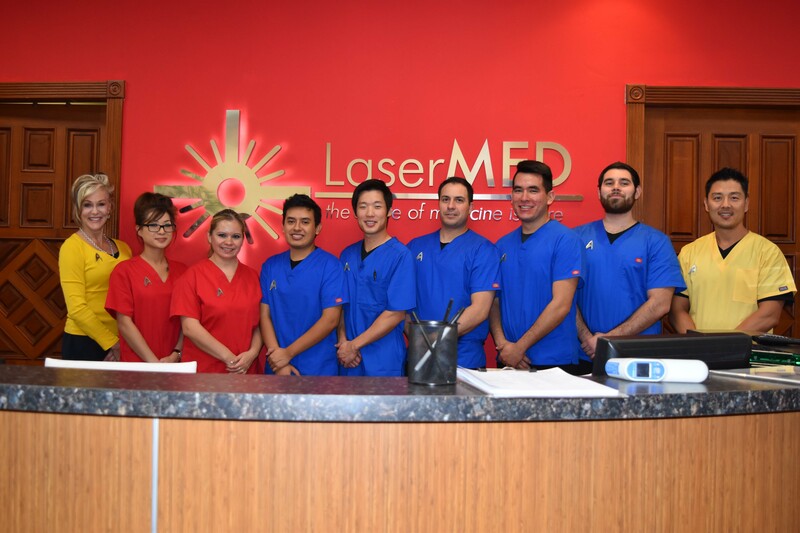 LaserMed is driven by a team that is highly experienced in cutting-edge laser, chiropractic and magnetic medical technology. Our professionals are driven to help others overcome chronic pain because they understand at a deep level how the constant suffering can chip away at your quality of life. It is their mission to help you put an end to your pain and regain your quality of life. While working as a medical missionary in Central America, he experimented in combining prolotherapy with acupuncture with decent results. He then ran 2 pain clinics in Korea, where he treated 4-star U.S. Army, Air Force and Special Forces Generals. He traveled to Europe to further study chiropractic sports medicine and was invited to treat athletes at the 2008 Beijing Olympics. During that time, he teamed up with other sports doctors to combine Eastern and Western medicines. Results were great. 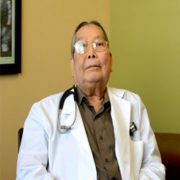 After Dr. Yoo’s research, which spanned 4 continents, he concluded that although the combination of allopathic and alternative therapies benefited most people, there were still stubborn cases that didn’t respond to anything—drugs, injections, surgery, physical therapy, acupuncture, chiropractic, etc. He knew there had to be something to help folks suffering from chronic pain. 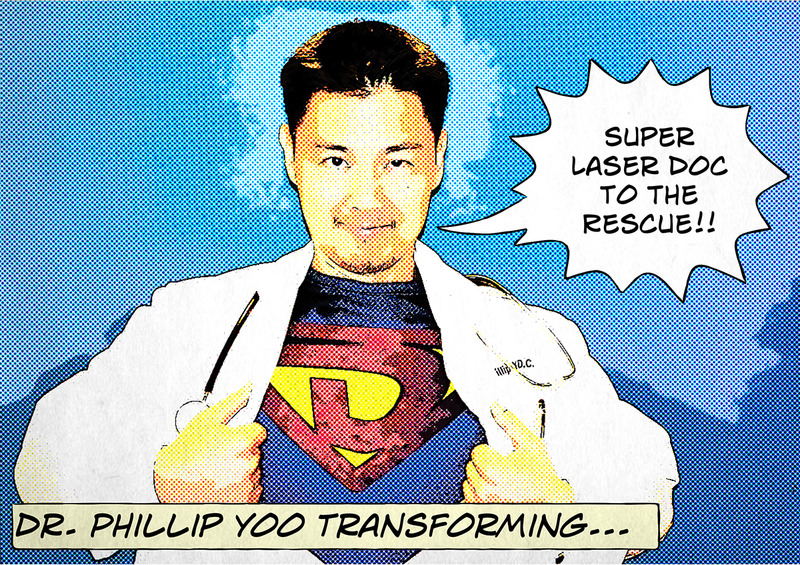 Dr. Yoo D.C. discovered Chiropractic and Laser Medicine by accident—literally. Upon returning home to America, he injured his back. The pain was intense. Life as he knew it changed in an instant. He couldn’t play sports. He couldn’t concentrate. He couldn’t lift up his young son and daughter. He couldn’t even drive his car without sharp, electrical-like pain shooting down his leg. That’s when he discovered chiropractic and Hi-powered Laser Therapy. He noticed a difference after 1 treatment. What a relief! Within a few weeks the sciatic pain disappeared and he regained his full health. Incidentally, he later suffered a bad case of shingles which caused peripheral neuropathy pain. He developed neuropathic numbness and tingling in his foot and ankle. Again, it was Laser Therapy which saved the day. After years of searching, Dr. Yoo D.C. had finally discovered the Holy Grail of non-invasive pain management. 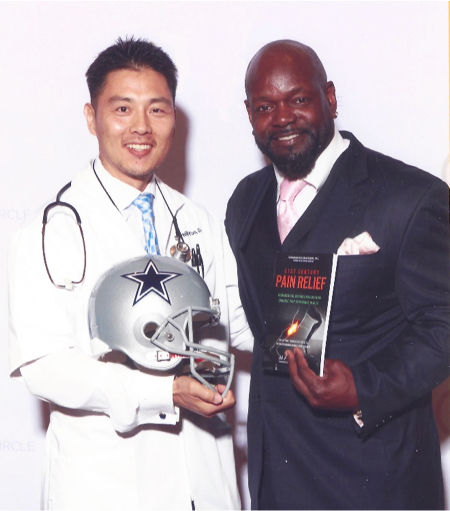 That’s when he founded LaserMed to help other people who were living life on the sidelines due to chronic pain. In Demand by Professional Athletes, Celebrities, Military Special Forces, Veterans & Regular Folks! Today, patients travel to Southern California from all over the world to treat their chronic pain at LaserMed. Dr. Yoo D.C. leverages 17 years of professional experience and is always on the hunt for the newest, non-invasive, pain-free medical technologies. 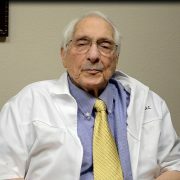 He lectures and trains other doctors, participates in continuing education at world-renowned institutes and universities such as Harvard and conducts clinical studies on new methods for treating chronic pain. 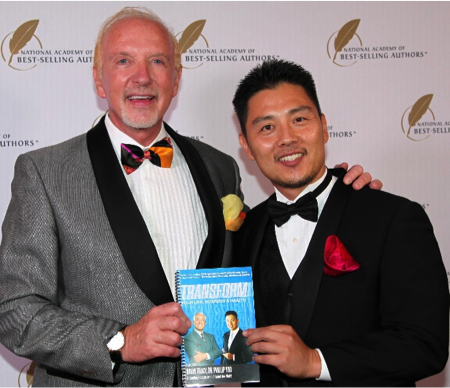 Dr. Yoo D.C. is the best-selling author of Transform Your Life, Business & Health, which he co-authored with Brian Tracy and other leading experts from around the world. He also wrote the ground-breaking book series 21st Century Pain Relief. 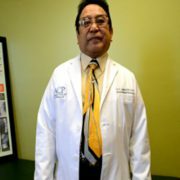 Dr. Yoo D.C. has been featured in the USA Today, Los Angeles Times and Orange County Register. He’s been interviewed on shows featured on the Bravo, A&E, E, CBS2 and KCAL9 networks. When Dr. Yoo D.C. is not out saving the world from pain, he enjoys spending time with his wife Angela and kids David and Kathy. He and his family are very active in their church and the community. 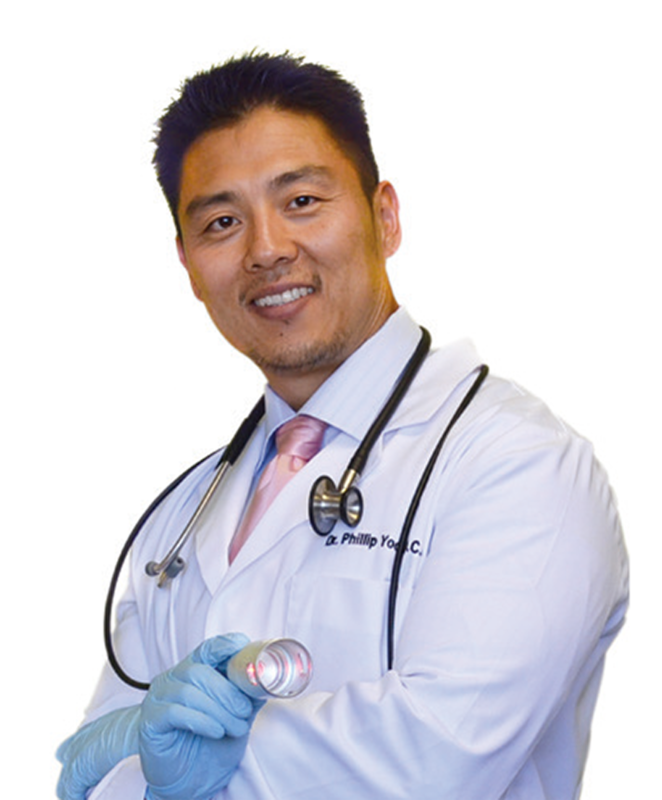 Dr. Yoo D.C. is passionate about fitness, currently an avid crossfit athlete and a former body builder. The Yoo D.C. family are adventurers at heart, and regularly go camping, hiking and cruising. 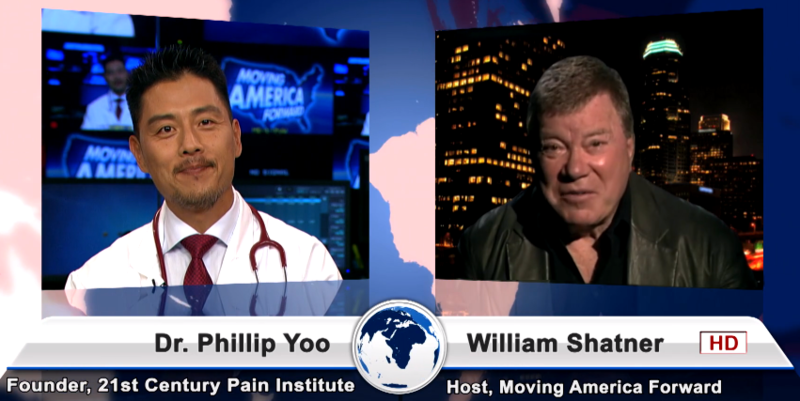 Star Trek’s legendary William Shatner “Captain Kirk” interviews Dr. Phillip Yoo D.C.
Chicken Soup for the Soul’s legendary author Mark Victor Hansen, congratulates Dr. Phillip Yoo D.C. on his Co-Authored best-selling book. For a limited time only schedule your consultation for only $97. 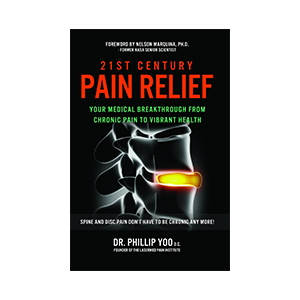 and you’ll receive your free copy of Dr. Phillip Yoo D.C.’s book, 21st Century Pain Relief. Call 714-636-2741 in Orange County or 760-537-4929 in the Desert and mention WEB 97 + Book. Nurse Lauren is often the first voice you’ll hear when calling our office and the first friendly face to greet you when you enter LaserMed’s Orange County clinics. She plays an essential role in coordinating your care, and will connect you to resources and tools that will support your success in our treatment program. Nurse Lauren has been with our team since 2012. A graduate of Long Beach City College, Lauren is a Registered Nurse. She excelled in Human Biology and was actively involved with the college’s Biology Board. 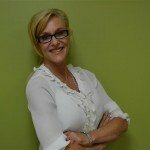 She leverages this extensive knowledge to support patients in their journey to pain-free living. Nurse Lauren has long felt the drive to help others. Prior to joining the LaserMed team, Nurse Lauren worked at acute care facilities for 13 years. After years of experience comforting patients in pain, Lauren was eager for an opportunity that offered real solutions to chronic pain. When she discovered LaserMed and our forward-thinking, non-invasive approach to overcoming chronic pain, she expressed a strong desire to be part of our movement that steers patients away from often unnecessary drugs and surgeries. Before becoming a nurse, Lauren flourished in floral/interior design, aerial photography and child care. Her unique combination of creativity and medical skills makes her the ideal person to assist you in your quest for health and vitality. Tina is a certified medical assistant, certified in basic life support, and previously worked at Pacific Haven Healthcare center. 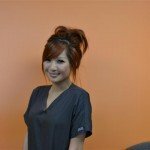 She’s been with LaserMed for 4 years, and is currently in school as a psychology major. When she’s not working or studying, Tina enjoys bowling, museums, and making memories through food, wine-tasting, and travel. I enjoy bowling, going to museums, and I also enjoy making memories through food, wine tasting and travel. Tina’s passion for helping people started in high school when she had the opportunity to volunteer at Pacific Haven Health Care Center, a health care provider delivering specialized medical and nursing care and homelike environment. Tina received her diploma as a medical assistant from Concorde Career College. She was recruited right away into our clinic after her internship. On Tina’s free time she likes to play the piano, learn new medical treatments and procedures, and writing.